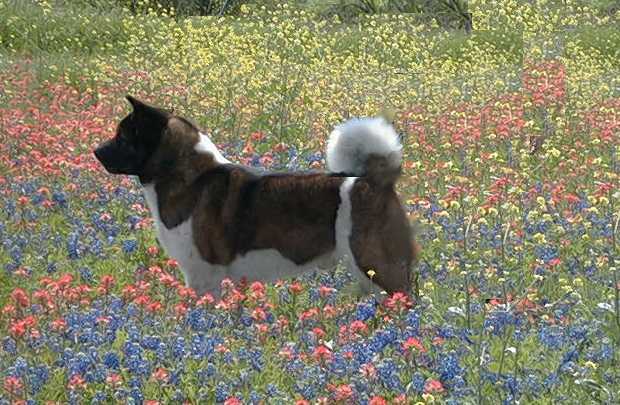 Ch Aimee and Brisco have produced 7 beautiful babies - 5 girls and 2 boys Sept 23rd 2009. 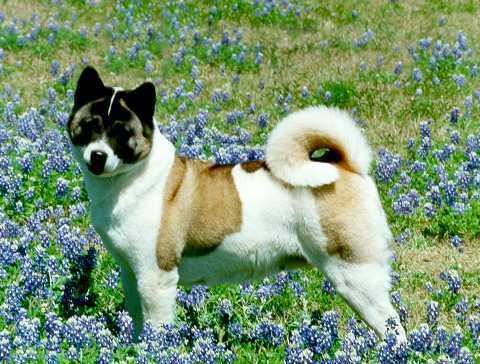 Click the link on the left of this page to follow along and submit an application if interested in an available Akita puppy. .. please contact me for info on upcoming litters or to be placed on the waiting list. Deposits required to hold available puppies and are non-refundable. 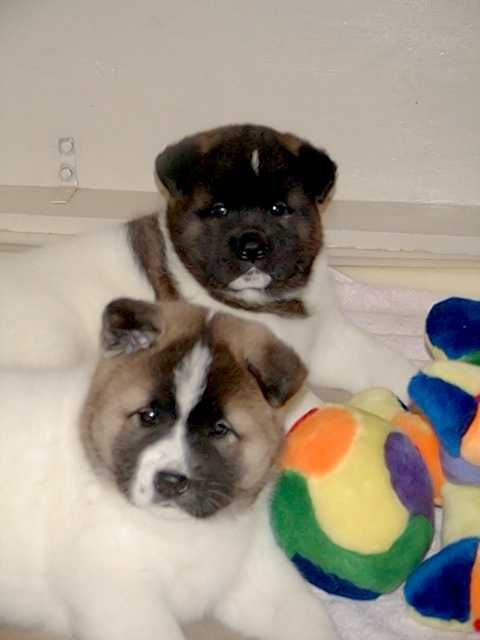 Visit the link at the left for Sassy X Bushido Litter 2000 (above) to see the pups from the beginning through 5.5 weeks and then follow the links to their individual pages - or for the March 2001 litter (below). 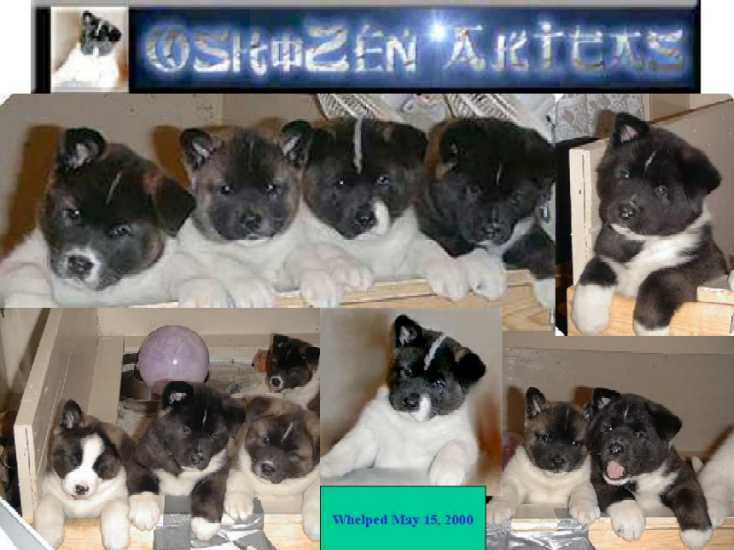 OshoZen Akita puppies are never sold to brokers or individuals intent on breeding for profit. We support anti-puppy mill legislation and prosecution. 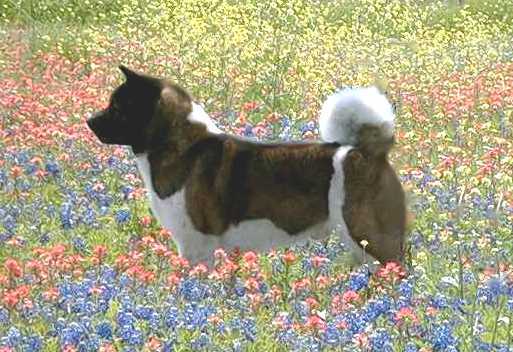 Click to see photo of: Dam/Mom- "Sassy" Sire/Dad- "Bushido"